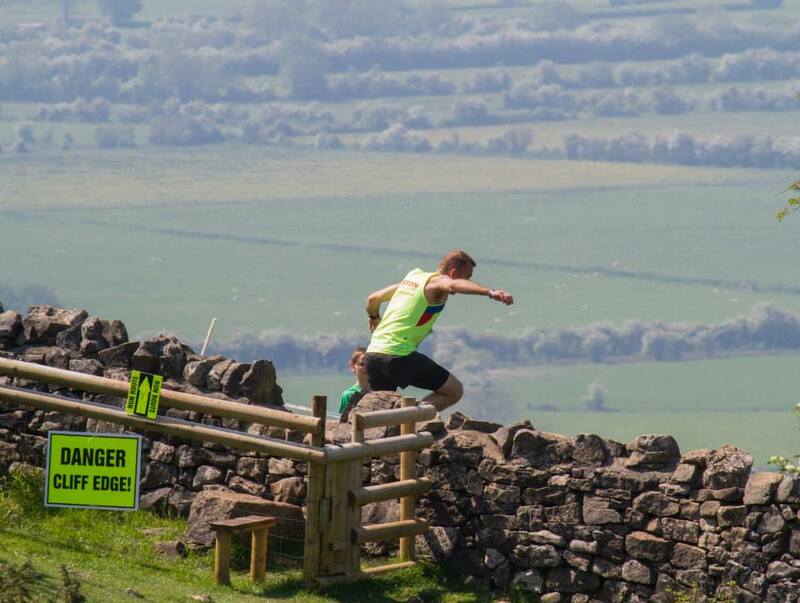 Our new route is a 1 lap half marathon around Cheddar Gorge and Beacon Batch, the highest point on the Mendip Hills. 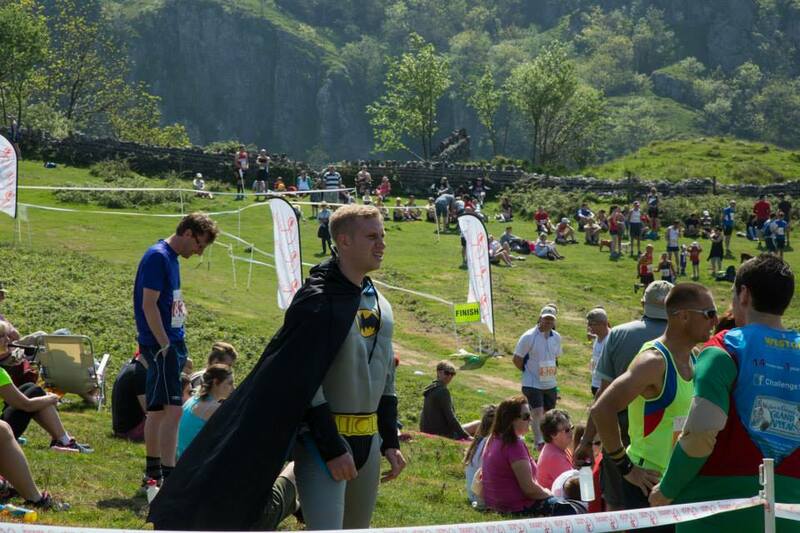 Both are very hilly and both have amazing views - have a read of the course descriptions and see the pictures below! There are also some great updates this year, taking out the narrow out and back stations and covering some new ground to make a bigger 1 loop course. Starting above Black Rock, the first 1km is a gentle meander down hill towards Black Rock, followed by a gentle downhill on a very rocky track. The first climb comes after 1.5km, a short sharp climb off the main track as the route heads towards Cheddar. After 1km, the 6km runners branch off and make a right turn and start their climb up the valley. 10km and Half Marathon runners process straight ahead, hope over a stone stile and start the climb of the infamous Hell Steps. Not one, but two rather large flights of steps which will bring you to the most amazing view looking right down the gorge. The first Feed Station (FS) is a welcome site and will offer a great time opportunity to refresh and replenish following the tough climb. From here there is a gradual rise, which kicks up at the end as runners enter Piney Sleight. Some good flat running ahead for the next 800m or so past the 3 mile marker. Coming up next is a short, steep and stoney descent - take care here. You will also see runners from the 6km race joining you at the point. All routes converge and carry on up the other side of the dip. As you contour around the ridge you will have really nice views across the valley to the event village and festival site. After making a quick 180 degree turn a decent at the 4 mile mark, there is Feed Station ahead. Shortly after the drinks station the Half Marathon runners will turn left off the main track, where as the 6km and 10km runners will go straight ahead. There are open fields and a slight climb to get towards the 5mile marker shortly after which some ducking and weaving will be required to negotiate a little used footpath which will be nice and slippery if wet. Up ahead is a road crossing, please pay attention to the marshals instructions and only cross when you feel it is safe to do so. The other side of the road, more fields and more climbing, including a beautiful little woodland valley which we hop through. The false horizon finally comes to an end with an old World War 2 bunker, now a rather odd looking grass mound, but integral in it's day. It used to house generators which powered a huge series of lights in the land ahead which we were laid out to mimic the railways of Bristol and were used as a decoy for German bombers. Past the bunker and make a right turn into some very boggy land, prime ankle twisting territory so please be careful here. 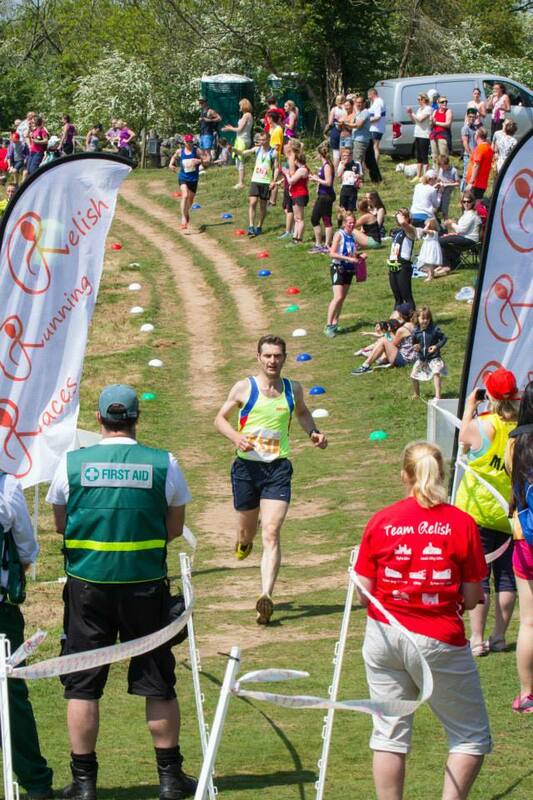 At 6 miles you will make a left turn and head up towards Beacon Batch, the highest point on the Mendip Hills at 325m. Finally there is some flat running along to mile 7, followed by a great big downhill run towards the feed station at mile 8. This was a main road in Roman days and retains the name of the Motorway among the locals and you will be able to see why as you speed down the hill. From here there are great views over the Bristol channel and over towards Wales. Mile 9 is relatively flat with some stream crossings and undergrowth to negotiate in parts. Followed by another big climb back up to Beacon Batch. That is the last big climb of the route and you could almost say it is downhill to the finish from here, aside from one or two little bumps. The next feed stations is at the two masts on the horizon accessed along a narrow little track. After the feed station comes the only real tarmac road section (11 mile marker) before we hop over the road and back onto the trails. There is another road crossing ahead so please take care. You are now at the top of Velvet Bottom and a slight downhill ahead brings you to the point there the 10km route meets you. 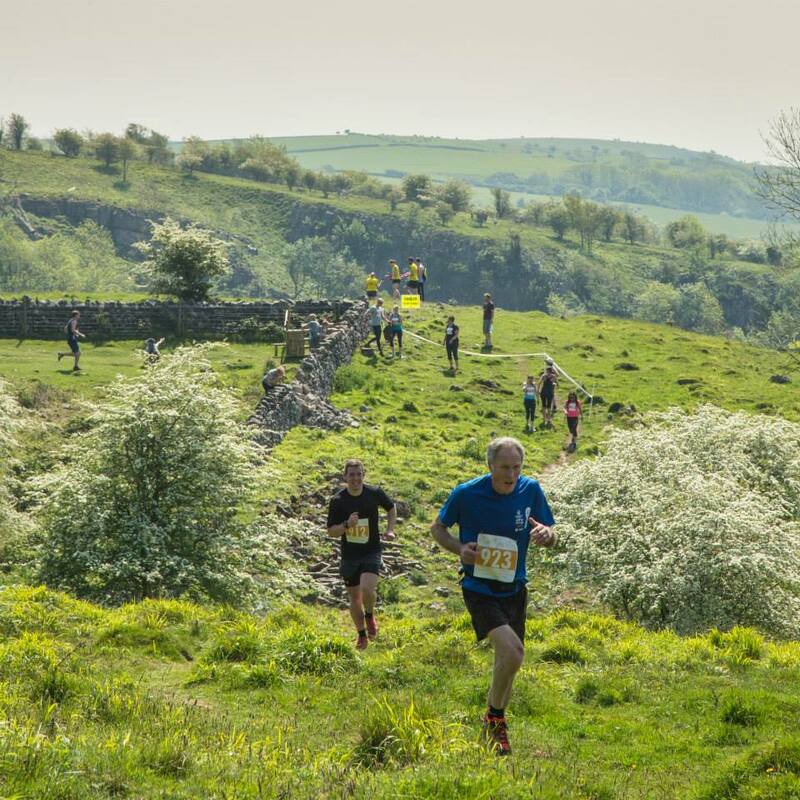 Routes converge and head up and across the valley shortly after the 12 mile marker and take a flat path along the top ridge of velvet bottom towards the finish line ahead! 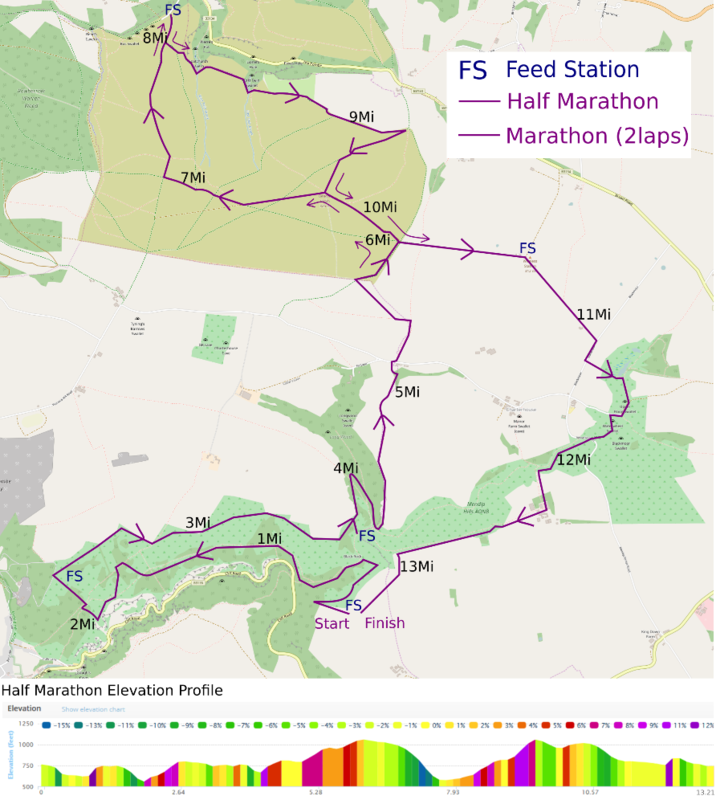 The route has 4 feed stations over approx 13.2miles, and approx 535m of height change.